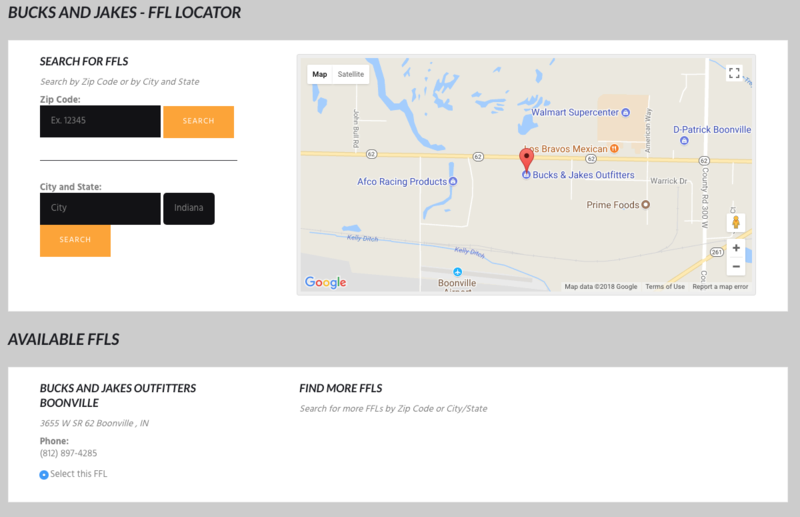 You will be able to select a Authorized Federal Firearm License Dealer (FFL) from our FFL Locator or be uploading your own FFL directly at Checkout. This process is mandatory and an industry standard when purchasing a Firearm online. Once you have found and selected your FFL Dealer, you have the option to Save your FFL Dealer for future purchases, making ordering a Firearm the next time, even faster. We have thousands and thousands of FFL Dealers registered and stored so there will be no problem finding the right one for you that's nearby! Can I have a gun shipped to you? Can I do a FFL transfer at your store? Yes, our transfer rate is $40. If you are shipping please review the contact FFL dealer above as you will need to contact us before the shipment is made. After you have contacted us we will send you a copy of our FFL. What is the condition of your firearms? All of our product online is in BRAND NEW condition from the manufacturer. We may have used firearms available in our stores. our item must be in its original unused condition to be returned, unless there is a manufacturer defect. You must return the item within 30 days of your purchase. Please email returns@bucksandjakes.com to request a refund, and we will assign you a tracking number. Some items cannot be returned if they have been opened. These include videos, apparel, footwear, calls, and guns. If your clothing item is in like-new condition, you may exchange your clothing item for a different size or color. You will not be subject to a restocking fee in this case, but you still will have to pay return shipping. While every effort is made to include accurate and correct images, descriptions and pricing for all products, inadvertent errors may occur. Bucks & Jakes Outfitters reserves the right to modify or change pricing information or descriptions without notice. If you have a question about an item, please call or e-mail for more information before placing your order. All orders are shipped within 72 hours, Monday - Friday from 8am - 5pm. If you have any more questions or conerns regarding our policies, please Contact Us.